This online course will instruct on proper cargo loading, cargo inspection and cargo securement. Identifies requirements for common types of cargo typically hauled by flatbed trailers and information related to tie downs and general cargo securement techniques. Tips on preventing load loss, trip delays, higher insurance rates and injury or damage. Upon successful completion of the Cargo Securement Flatbed Training course, a certificate of completion will be available to download and print. Testing conducted in this online Cargo Securement Flatbed Training course is designed to reinforce the information presented. A final mark of 80% must be achieved to receive a certificate of completion. Participants are able to repeat the course two additional times if the 80% pass mark is not achieved. Upon successful completion of the Cargo Securement Flatbed Training course, a certificate of completion will be available to download and print. Visit the Canadian Council of Motor Transport Administrators’ (CCMTA) to view cargo securement standards. Ensure the load and all equipment/tools are properly secured. Cargo must be secured on or within a vehicle. 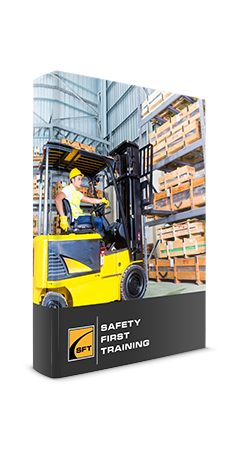 Shovels, blocks, webbing, chains, spare tires, brooms, forklifts, pallet jacks, winches, ratchets, etc., all must be secured. In an enclosed trailer, large or heavy loads may need additional securement to safely secure the load. 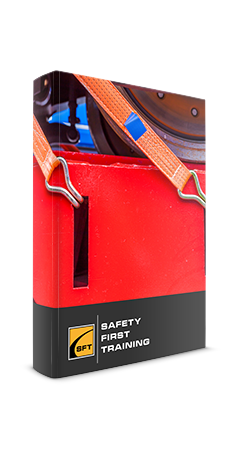 Bungee cords and tarp straps must not be used as the main securement for loads or equipment. Ensure the load is always properly contained and secured so that it will not leak, spill, blow off, fall from, fall through or shift.